Rose & Odin: RAINBOW SIX! May-hem is upon us! It seems our family is heavily stacked with back-to-back May birthdays. Mine & P's are 5 days apart. Fortunately for her, she is out of the sharing her birthday with Mother's Day window. She loves parties. She is a little lover of social gatherings and craves to be the center of attention! She is so much like me! She is turning seven this month but I thought I would catch you all up on her birthday celebration from last year. P loves rainbows and sparkles and all things girly. 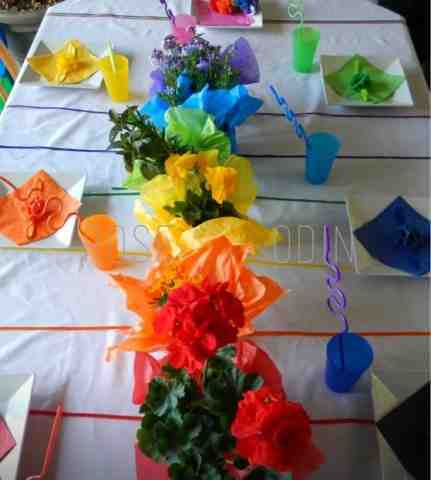 For her 6th birthday party she wanted a rainbow theme! Perfect! 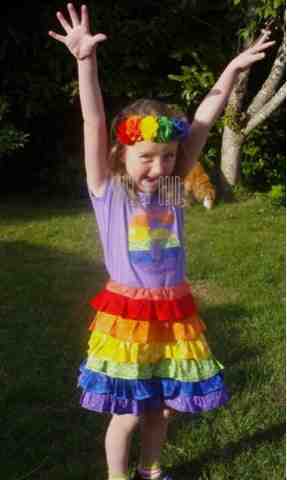 I made her a rainbow skirt, 6 rainbow birthday shirt, and a rainbow felt flower headband! This was just to wear to school on her birthday! Of course, I washed it all and had it ready to wear to her party the next day! Rainbow everything! Food platters, tablescapes, cupcake frosting..... I am just going to assert here that the rainbow theme is the BEST birthday theme EVER! I keep the parties small, just at or under a total of 6 girls. This way, I can do more quality party flare. 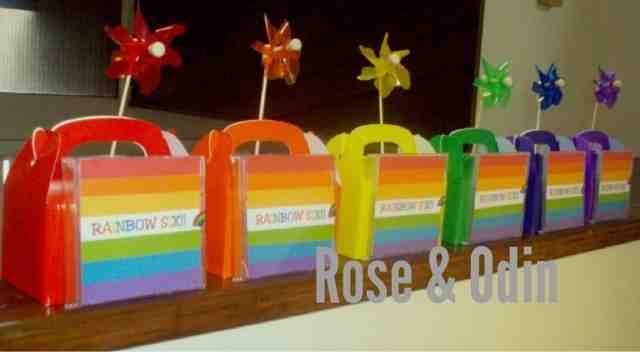 The rainbow party goers each got a felt flower headband in one of the six colors of the rainbow, a mix birthday cd filled with color coordinated rainbow songs, a box full of rainbow assorted goodies to bring home in their choice of color! 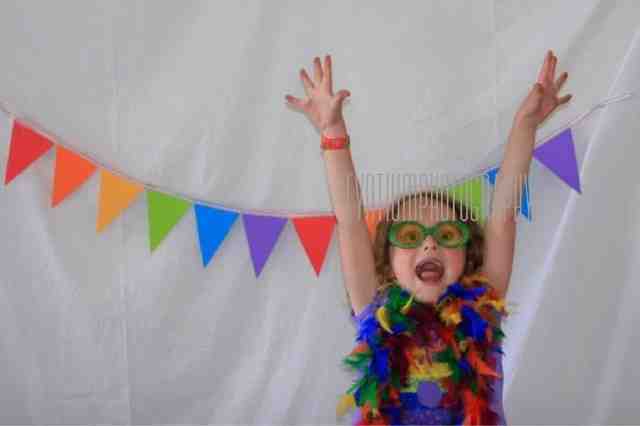 I also, covered a wall in several yards of white muslin and hung paper rainbow bunting across it and had a variety of photo props for the girls to play with, which included: mustaches, sunglasses, feather boas, tiaras, and funky jewelry. This made for a very simple and fun photo shoot! A bubble machine was on the deck and they really loved to dance around in the cascading bubbles! Loads of fun and giggles! It's My Birthday Month Giveaway!